What is swede midge and why is it a problem? Swede midge is a new invasive fly that attacks Brassica crops, which includes broccoli, cauliflower, cabbage, Brussels sprouts and kale. To date, there are no reliable organic practices to control this pest. We have received reports from organic farmers in VT and NY that they are experiencing up to 100% yield loss of broccoli and kale. 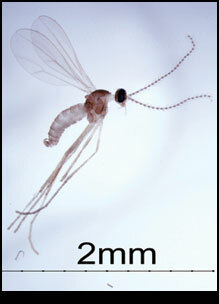 Swede midge threatens Northeastern vegetable growers and limits your options for local organic vegetables. 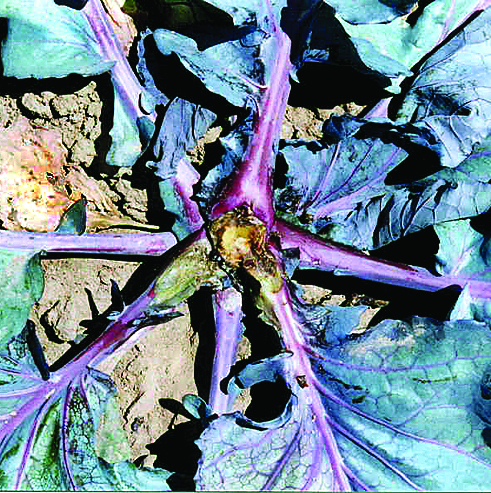 Conventionally-grown brassica vegetables with higher pesticide levels. Our lab aims to better understand the ecology, biology and behavior of swede midge in order to develop organic methods for its management. Here is an organic management guide for swede midge, developed jointly between the IAEL, Cornell Cooperative Extension and the University of Guelph. Spread the word about swede midge and support us in finding effective alternatives to insecticides for swede midge management. Please check “Other”.